Use of 2 Monitors at one PC interface. 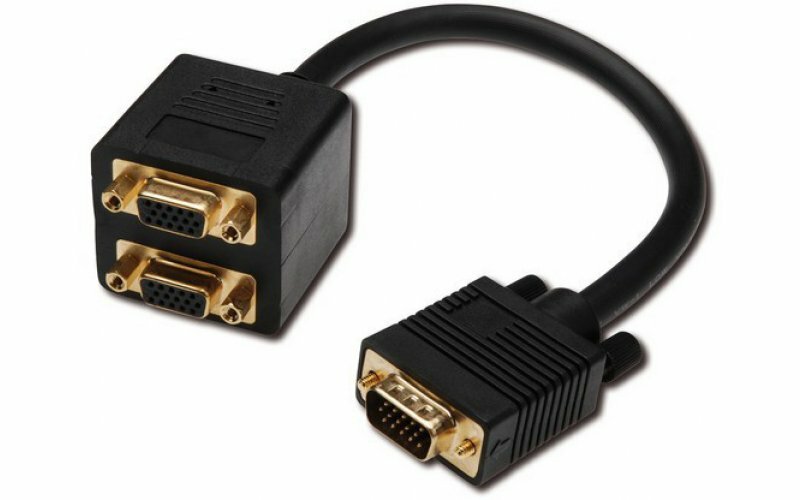 VGA Monitor Y-splitter cable, HD15 - 2xHD15, M/F, 0.2m, passiv, UL, gold, bl. 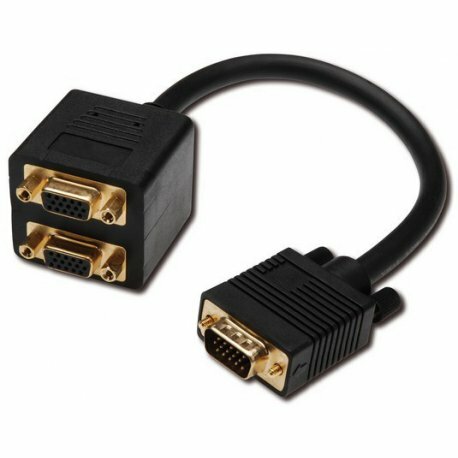 For connection of two monitors at one HD15-Interface.